We’ve received a spear phishing attempt (a phish targeted at a specific population) claiming that there is a security emergency on campus. The email asks the reader to access a linked REPORT and follow protocol. If you encounter this phish, please just delete it. What can I do to protect myself? Be vigilant! Never respond to an email request for your username or password. Hover your cursor over the link to determine where it will take you. If it’s to a non-RIT URL, don’t click on it. To determine where a link goes when using a smartphone, press down on the link until the destination address appears. Don’t just click on the link. If the email appears to come from RIT, but is asking for something outside a normal process or has an unexpected link or attachment, confirm with the sender that it’s legitimate. NEVER give your password or any personal information out through e-mail. INSPECT your computer if you clicked on a suspicious link by running a virus scan. Change your password if you provided it. Our team of students provides you with a unique behind the scenes peek at the Finance & Administration division at RIT. 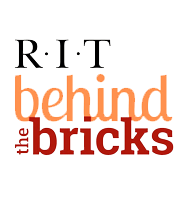 Join the conversation "Behind the Bricks!"